A hero is defined as "a person who is admired for having done something very brave or having achieved something great, or the main character in a book, film, or play, especially one who is admired for their good qualities". Heroes are different for everyone. For some people, a hero is the knight in shining armor who saves the damsel in distress. For others, a hero is someone who steps in to save the day, or is generally helpful and useful to have around in tough situations. Others distinguish a hero as someone who can save themselves, without relying on anyone else to help them. And there are people who see heros as regular, everyday people - the single mother who provides for her children with no help or support from anyone else, or the young girl who wants to be the first one in her family to go to college and she'll do whatever it takes to get accepted and make the money to put herself through school. In books and movies, I love all these types of characters. A good hero to me is someone you can look up to, but someone who is real, with faults, quirks, genuine emotions, who makes mistakes and doesn't get everything right all the time. Funnily enough, since today is H day, the first two characters that came to mind are related to H - Harry Potter and Katniss Everdeen from The Hunger Games. Harry Potter is one of my favorite characters in literature, period. He's sort of an accidental hero - a young boy who grew up never really knowing love after the death of his parents, living in a cupboard under the stairs until he found out he was a wizard and got to escape his life by going to Hogwarts School of Witchcraft and Wizardry (Hogwarts is another of my favorite H words). He was already a legend in the wizarding world and he had all these expectations to live up to, and he tried his hardest, failed a lot, but succeeded a lot too. Even though the Harry Potter books are fantasy, Harry's such a relatable character - a normal kid who just happens to have magical powers and the weight on his shoulders of having to save the world from Lord Voldemort. me. I read the book in March after my cousin Bertha recommended it to me and I loved it. Katniss is kind of an accidental hero too, but before she's thrown into the Hunger Games, she's a hero at home, taking care of her mother and sister after the death of her father. If it wasn't for her, her family would have starved. When she's forced to fight for her life, she uses all her resources and knowledge and she doesn't expect anyone else to help her or save her. She's intelligent, independent and resourceful - a heroine that young girls can really look up to, and not the girl who sits around and waits to be saved. As for my own personal hero, that would be my mum. She raised my handicapped brother on her own, worked 3 jobs just to make ends meet, never missed taking my brother to appointments, going to meetings at his school and with specialists, as well as all the activities he was involved in. Then when she met my dad and they had me, it was less than a decade before he took sick and she was by his side the entire two years of his illness until he passed away and she was left to raise a child on her own once again. She did everything for my brother and me, was both parents, and a friend, and even as adults, she's always there for us, always looking out for us. She is a real hero. What characteristics make a good hero in your opinion, both in real life and in fiction? Who are your favorite heroes in literature, and your heroes in real life? I love getting comments - all are welcome and appreciated! Happy Saturday! Katniss is amazing isn't she! and Harry! I dovoured the hunger games (all 3 books in a week) and the Harry Potter's I was a little late to that party, but once I arrived there was no leaving. Yay, another Katniss and Harry fan! 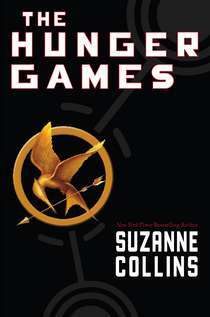 I just got Catching Fire today, I can't wait to start reading it, and I'm on the waiting list at the library for Mockingjay. I think I've read the HP books 3 times each and will probably continue re-reading them the rest of my life lol. It's lovely to meet a new blogger. I've followed you on google and networked blogs. I love your hero post. You might like to check out my Byronic Hero post on my writing blog. You'll go there if you click on my name. I love the Harry Potter books but my favorite character is Hermione. Together they are a great duo. I'm so glad you mentioned your mum as a hero. Mums are really awesome creatures, which is why I never felt I'm good enough to be one of them. It's good to see how much you appreciate her efforts, her hard work, he being. She's also lucky to have daughter like you.